The iconic face from Sony’s demolition derby game Twisted Metal is coming to POP! vinyl! 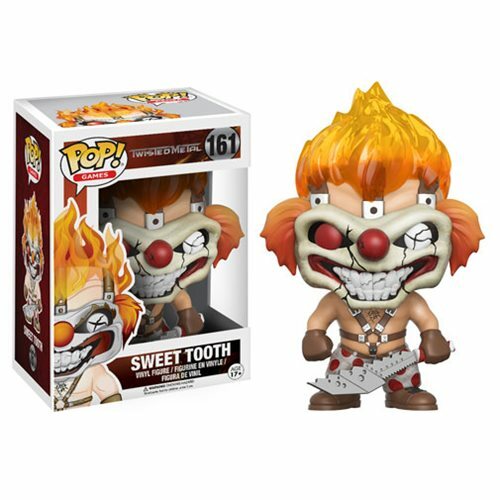 A psychotic murderous monster that hides behind a vicious clown mask, Sweet Tooth features his head of flaming hair and mischievous grin! Add Sweet Tooth to your collection this winter and get ready for mayhem! Window box packaging.